My previous PA Times column discussed the terrible education, economic and healthcare outcomes in the U.S. South are continuing to trend downward. More bad news recently arrived in the form of a 2017 report on health outcomes in the states highlighting how poorly populations in the South are fairing when it comes to their physical well-being. Privately, many of my colleagues have not only commiserated with this assessment, but also asked if it ever will be possible or practical for the federal government to intervene. 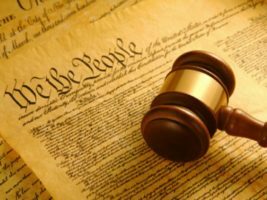 Those familiar with the Constitution may recognize these words as part of Section 1 of the Fourteenth Amendment. I deliberately avoided introducing them as such because Southern segregationists and their current counterparts have long tried to disregard them as having a lesser status than the text of the Constitution as adopted in 1787 (the version that allowed slavery and mandated the three-to-five count of slaves in the census). That position, of course, is inane; the amendments are fully part of the Constitution and have equal force as any other part. Here is some history that, combined with the Constitution, creates the basis for federal intervention. Immediately after the end of Reconstruction, all the states which joined the Confederacy moved quickly to disenfranchise their poor Whites and all African Americans. After that event, the same states adopted new constitutions vastly reducing the power of their governors, transferring much policy authority to unaccountable boards and commissions, and otherwise explicitly limiting the ability of the majority of their citizens to influence the public policy process. Poor Whites and African Americans generally were not allowed to participate in the votes on those constitutions. These actions clearly violated the U.S. Constitution including the Fourteenth Amendment and the Fifteenth Amendment (full citizenship rights for African Americans). Their consequences, such as Jim Crow segregation and tax policies which limited revenue for education and healthcare, also violate any notion of equal protection of the laws. The result is that an average child born today in Mississippi can expect to die 20 to 30 years earlier than a child born today in New York simply as a consequence of geography. That amazing gap is the result of institutionalized economic and racial discrimination in the South, deeply embedded in those state constitutions, which the rest of the U.S. acceded to under the agreement that ended Reconstruction. It is time to rescind that deal with the devil. It might be different if the “Southern recipe” of low taxes and no services was producing good results —That the South is a festering mess permanently nullifies that defense. The federal government should use its authority under the Constitution to motivate fundamental political reforms across the South. The Jim Crow state constitutions should be replaced with modern versions which promote effective government and require taxation sufficient to pay for education, healthcare, infrastructure and economic development. These are matters of civil rights and equal protection under laws as much as they are matters of better public administration. Recognizing the lingering legacy of mass disenfranchisement, the federal government also should push for changes to districting and voting in the South to increase the representation of poor and minority populations. I personally favor the approach taken in California to hold a general election contest in legislative elections among the top two candidates selected in open primaries regardless of party affiliation. There are many other similar proposals worth considering as remedies to the South’s legacy of discrimination and voter suppression. I already can hear champions of the “Southern recipe” defending it in terms of, “keeping government off the backs of the people.” As 2018 unfolds, that tired phrase, just like other counterparts such as, “welfare reform,” are being recognized as code words for racial discrimination and demonization (I recommend reading Jared Bernstein’s recent Washington Post column about this). From 1877 forward, “keeping government off the backs of the people,” has been widely understood among Southern White elites as meaning their state governments would be incapable of seeking any semblance of social and economic equity or otherwise taking the actions mandated under the U.S. Constitution to provide equal protection under law. The United States cannot advance in this century without federal intervention in the South. Let’s begin.